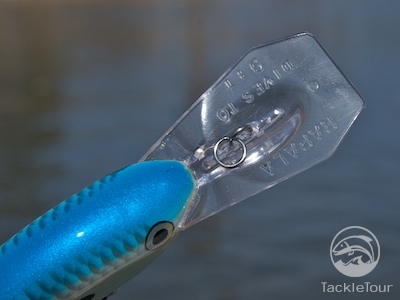 Introduction: The Year of the Crank has been a great opportunity to get back to basics here at TackleTour. Afterall, is there any more basic a technique in bass fishing? How many of you started out throwing cranks? I know I did and it’s a technique I’ve enjoyed getting back to this year. Thinking back to when I started, I recall manufacturer names like Bomber, Bagley, Rebel, among others, lining store shelves with their take on this ubiquitous bait type. Most all those names have been absorbed by larger corporations as the manufacturer landscape continues to shift, contract, expand, and reform with each passing year. Among this amorphous landscape of crankbait manufacturers, only a few companies from twenty years ago have remained intact and even fewer have thrived. Through all this ebb and flow, one of these companies, Rapala, has been a personal favorite of mine and TackleTour’s Year of the Crank has afforded me the opportunity to get reacquainted with this company by exploring some of their newer product. Today, we look at their modern day take on the crank with our review of the DT Flat. Impressions: My initiation to the Rapala product was with their old standby, the wooden Shad Rap. There were days when I’d hit the water with only two rods: one rigged for plastics, the other with a Shad Rap 7 tied to the end of the line. The realistic profiles, quality construction, and nice, basic baitfish patterns are among the reasons I coveted these baits. Introducing the Rapala DT-Flat 9. Enter the current era Rapala product and their new to me DT (Dives-To) series of cranks. Talk about a departure from the Shad Rap. 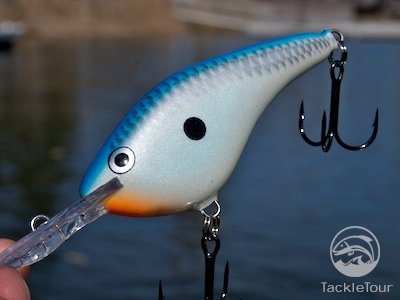 Instead of the realistic, slender, minnow type profile presented with the Shad Rap, the DT series baits all feature oversized bellies that taper to a small, slender tail section. Designs that really are inline with some of the more traditional, hand carved balsa baits from yesteryear. So, while it may be odd for me to see such a bait coming from Rapala, the profile of these baits is really nothing terribly new. The Shad Rap is a sentimental favorite of mine. Taking it a step further, scattered reports amongst friends who’ve been fishing these baits during my big bait obsession tell me this series of baits from Rapala are among their favorites. So, let’s think a moment about this – a series of balsa baits in the style of the old hand carved variety from way back when built by Rapala that actually work. Sounds like a no brainer to me! 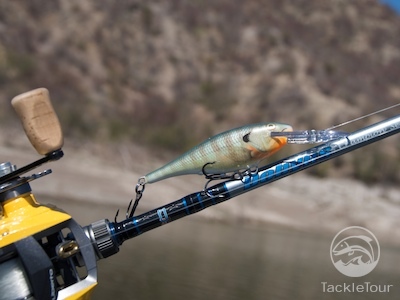 The DT-Flat series is just that - a flat sided crankbait. Fast forward to the onset of 2009 and our Year of the Crank coverage where we traveled to El Novillo Lake in Mexico to kick start our year in reviews. Shortly after our arrival, Jonah Li, owner of Hi’s Tackle Box and the person responsible for arranging our visit to El Novillo dropped in my lap two handfuls of Rapala product. In this pile, he pulled out and pointed specifically to the new Rapala DT Flat 9 and told me that I have to try that crank. 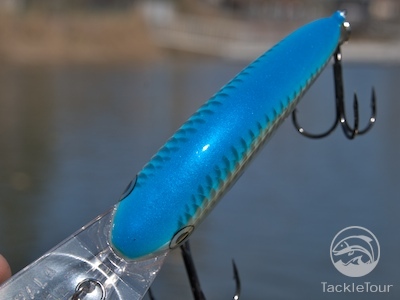 Not necessarily new to the DT line, the Flat series is kind of a cross between the Shad Rap and the original DT baits in that it has that tight wobble normally associated with flat cranks (and the Shad Rap), but it also has that same, quick dive capability of the original DT baits. What is new though, is the DTF09, a three and one eighth inch, five eighths of an ounce version of this bait designed to dive deeper and provide a slightly larger profile than the original DTF07 & DTF03 baits in this series. On this trip, I fished the DTF09 with the Lucky Craft 701MF matched with a Shimano Conquest 51 spooled with 22lb Toray Superbraid – a pretty deadly combination really. The easy loading tip of the 701MF made casting the five eighths ounce DTF09 a breeze and had me lamenting the fact that casting the good old Shad Rap was never this easy. 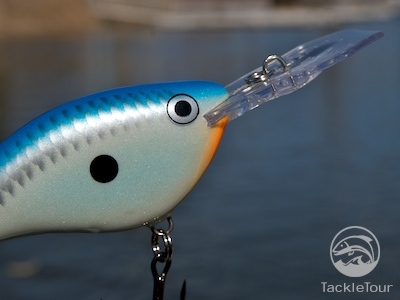 Of course, the DTF09 is much larger and heavier than an SR7 Shad Rap so it’s expected to cast more easily and I did not have the smaller and more comparable DTF07s to try out. Next Section: So what about that coffin lip?